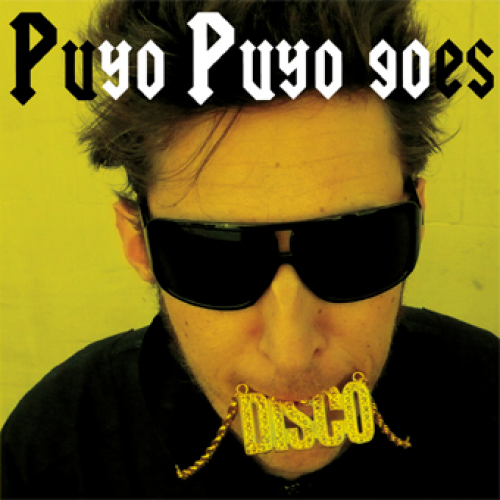 Disco is the sixth production from the charismatic Puyo Puyo. This latest release puts forward a rather large selection of electronic pop references, giving prominent parts to voice and groovy melodies. This album is a delicious witches brew of German new-wave, Psychopolka, Turbopop and that little Puyesque je-ne-sais-quoi, iodiosyncratic dissonant melodies, glitch and kitsch licks. Each composition creates a sonic universe with a singular narrative, appealing like a love song earworm and often with wake-up-the-dead energy. Please download - for free! 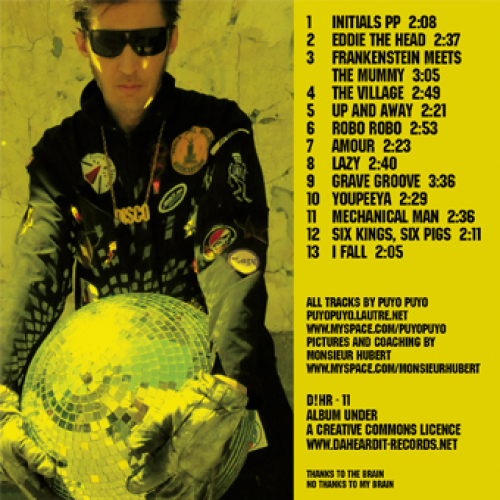 - all thirteen tracks of Puyo puyo goes disco at http://www.daheardit-records.net/en/discography/dhr11/ And no matter what.... Play it loud!